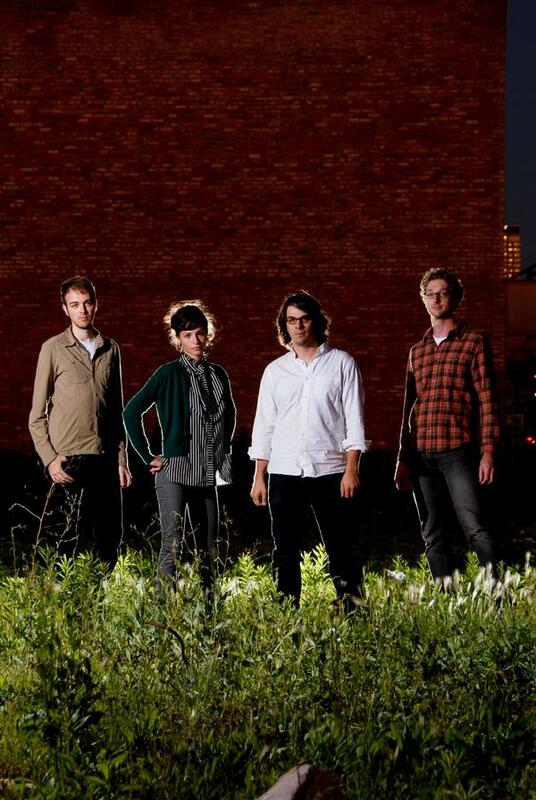 Fresh from a Spring tour that took them to New York, Pennsylvania, Ohio and Indiana, Chicago’s Cains & Abels are now gearing up for a home-city show on April 15 at The Whistler (2421 N. Milwaukee Ave., 9:30 p.m., free), and preparing the follow-up to their excellent 2009 LP, Call Me Up (click here for our post on the release, including an mp3). That record’s thoughtful, moody folk rock earned the band plenty of high praise, and their forthcoming material – which they’ve tested during their recent shows – promises to be the most impressive yet. While on the road, lead singer and songwriter David Sampson made some time to answer a few questions for WCR on how things are going for Cains & Abels and what we can expect from the new material. WCR: You recently spent some time recording new material at Engine Music Studios. How did it go? Tell us about some of the new music and how it compares to what we heard on Call Me Up. DS: Our time at Engine was really satisfying. We got done exactly what we went in to do, which feels good—sometimes there are roadblocks and frustrations. The songs we recorded are all ones we've been playing live over the last year. To me, they feel like a very natural progression from Call Me Up, both in terms of songwriting, and the orchestration we're doing. I think these feel a little thicker. I don't know quite how else to express that. There are some more rock and roll sounds. The drums are louder. The songs have similar imagery in the lyrics. One song is about taking a bone out of your body to symbolize a deliberate change in your life. In one of the songs, I'm talking to money as a character, as if it's a lover I've never been able to get over or feel any peace about. That one's intense! There is definitely a more positive bent in the new songs. Call Me Up was sad, and even though I feel that the songs were ultimately hopeful, the sadness was the foundation. Speaking of Call Me Up, what inspired the material on that record? Were there any themes or ideas in specific you set out to get across? Call Me Up was inspired by the end of a long relationship. Saying "call me up" is a request for a connection to be made, and to me it turned into a bigger global plea that I was making. When I wrote the songs, "call me up" was first something I was saying to my ex, then I was saying it to my friends, other women, new friends, and ultimately the whole world. Human connection was - and is - something I need so much. The whole album resonates with that theme. How did the band hook up with States Rights Records for the record’s release? I met Steve Schroeder, who runs States Rights, six or seven years ago on the Internet. His label has always been one of my favorites. It's one of the only labels that I would trust enough to buy everything they put out. It feels curated and special, and it's all really good music. We did exclusive tracks for a couple of the States Rights compilations (Bro Zone, Grown/Groan Zone), which are always so awesome and crazy. He loved Call Me Up, and we were psyched to have him put it out. Of all the Cains & Abels tracks recorded so far, are there any band favorites—or maybe, songs you'd most want people unfamiliar with the band to check out? The video for "My Life Is Easy" happened in a day, basically. I envisioned a slow-mo shot of all of us running into Lake Michigan at dawn, so I somehow convinced everyone to get up at 5:30 AM and go to Montrose Beach. It was warm for early Chicago spring at dawn, but it wasn't actually warm. I checked the water temp later, and it was 37 degrees! So cold. It was a fantastic, invigorating experience, though. My Life Is Easy from David Sampson on Vimeo. How's the Spring tour going? Any standout gigs so far? The tour is going well. We haven't had a grim night yet. Bloomington was amazing because we played with Citay and then our friends took us to a dance party in a dungeon-like cellar. We got weird. We played Akron, which ruled, because we got to play with Talons', one of my favorite bands, and hang out with Keith and Linda from Trouble Books, another one of my favorite bands. After the tour, what's next? Any idea of when the new material will be available? When we get back to Chicago, we're going to work on trying to get the new album finished. We're playing at The Whistler on April 15. We're doing another short tour in June, and maybe a West Coast thing in late summer. Working hard on the album is the main thing. My goal with Call Me Up was to make it the best thing I had ever done, and I have set the same goal for this one. My hope is for it to come out in the summer, but we'll see.